The truth is a beautiful smile can really make a difference in your life. It boosts your self-confidence, helps you make a great first impression, and implies all sorts of wonderful qualities about you in professional and personal settings. What can you do, though, if your teeth don’t look as great as they feel? Whether you’re dealing with minor cracks, gaps, or discoloration, cosmetic flaws can affect even the healthiest of smiles. Thankfully, Dr. Sean Bannan and our team here in South Daytona, FL can provide you with the changes you’ve been searching for. 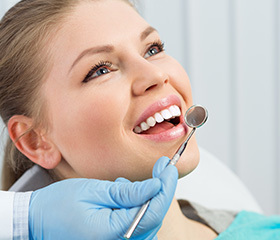 Our cosmetic dentistry treatments will be sure to leave you feeling great about your smile! Some patients find that they’re dealing with several dental flaws at once that all need attention. 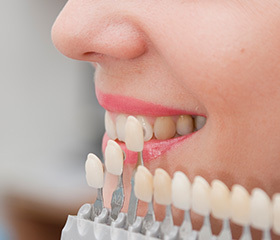 Instead of undergoing multiple treatments in order to create the results you’ve been dreaming of, you can give a few teeth or even your entire smile a fresh start with a handcrafted veneer. Made of beautiful, wafer-thin dental porcelain, a customized veneer will fit seamlessly over your existing enamel and give you the appearance of a brand-new smile. Traditional porcelain veneers create stunningly beautiful transformations for patients in need, but they also come with one not-so-small caveat – your natural tooth’s structure will need to be reduced, making the service permanent. 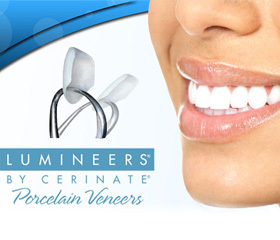 If you’re hoping to one day return to your natural smile, Lumineers are a good alternative that require little to no alteration while still creating similar, gorgeous improvements. During a cosmetic consultation, Dr. Bannan can help you determine which option is better for your personal needs and goals. So you’ve just gotten the news that you’re going to need a dental crown to correct an injured or decayed tooth. Many patients immediately start worrying about the cosmetic implications – will their tooth look completely unnatural now? Thankfully, this doesn’t have to be a foregone conclusion. Dr. Bannan offers metal-free restorative materials that are high-quality, durable, and beautifully lifelike. Once in place alongside your other teeth, it will be difficult to even point out which one isn’t completely natural. The lack of metals also makes this option more comfortable and less prone to uncomfortable sensitivity. Crooked teeth are a common source of frustration for many patients here at Water’s Edge Dental, but adults tend to shy away from wearing metal braces for obvious reasons. 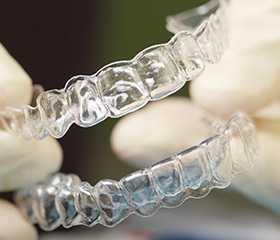 Invisalign is a modern and conservative solution that can straighten smiles in a virtually unnoticeable fashion with the help of a set of clear, customized aligners. You’ll be able to achieve stunning results without having to sacrifice your self-confidence in the process! Even very small dental flaws like chips in the enamel or little gaps between teeth can draw your attention every time you look in the mirror, dampening your self-confidence. If you’re looking for a fast and easy way to smile brighter, you can’t do better than direct bonding. In most cases, this procedure will only take a single appointment, during which Dr. Bannan will apply lifelike, tooth-colored composite resin and sculpt it into a pleasing shape that covers the requested area. Once hardened in place, the new improvement should last anywhere from five to ten years. Some dental stains are so stubborn that even diligent brushing can’t get rid of them. That’s where our teeth whitening services come in. With the power of Zoom! 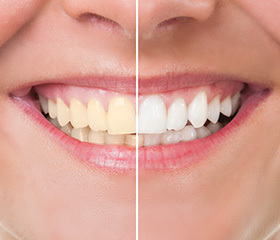 Whitening, we can dramatically improve the brightness of your smile by several shades over the course of just a single appointment. We also offer customized kits that can be used in the comfort of your own home. Simply wear them for the predetermined amount of time each day and you’ll achieve the same dazzling results at a much more gradual pace, which some patients prefer. 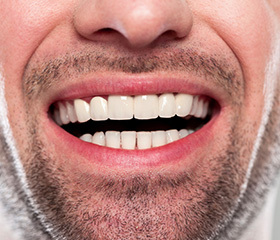 Surprisingly, your teeth may not always be responsible for a lackluster look. If you feel like your smile looks overly short, uneven, or “gummy” in appearance, too much gum tissue could be unnecessarily hiding attractive tooth structure. 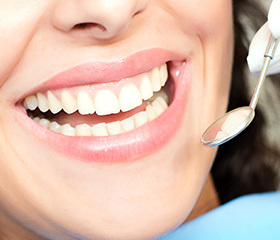 In these cases, Dr. Bannan can use our revolutionary soft tissue laser to precisely sculpt your gum line into a more pleasing and natural shape. Our team may also recommend this service for restorative purposes, such as if we need to reveal more of a certain tooth in order to successfully place a crown.